It's no secret that the chinchilla color is becoming more and more popular every day. More and more people want to become the owner of the charming Scottish Fold silver chinchilla kitten. 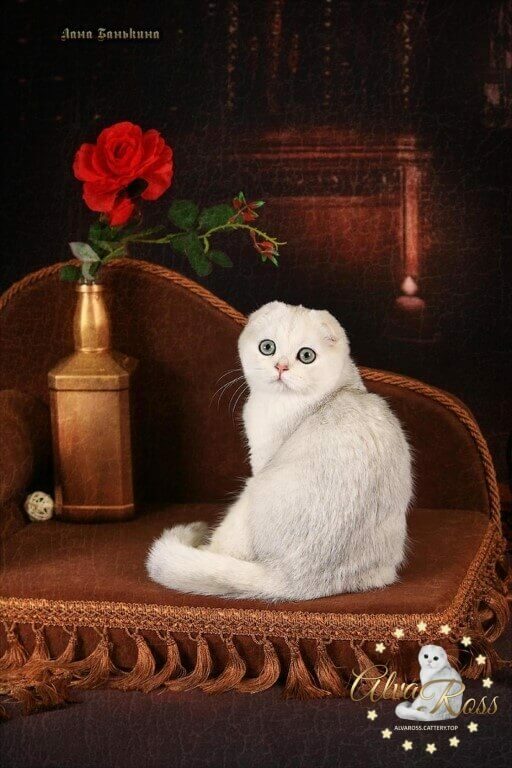 Not everyone can resist the beauty of a platinum coat and the bright glow of emerald eyes! 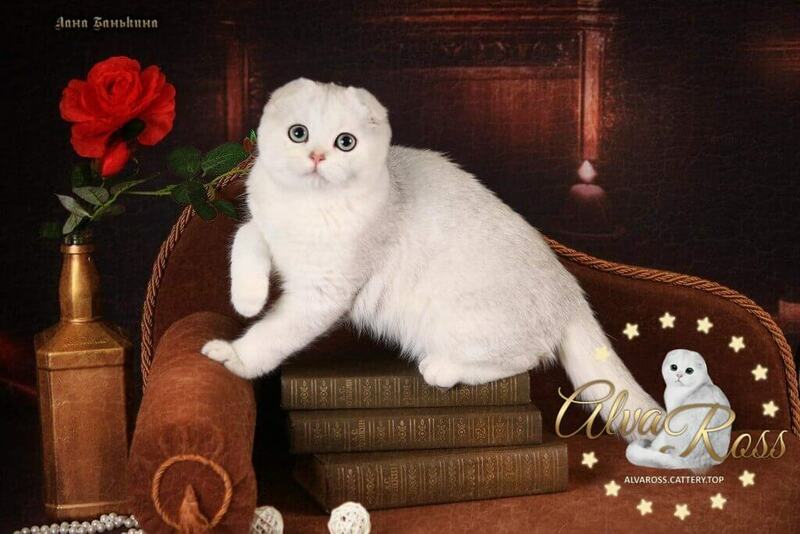 Specialized catteries of Scottish Fold silver chinchilla cats in Russia and abroad - this is not a frequent occurrence. 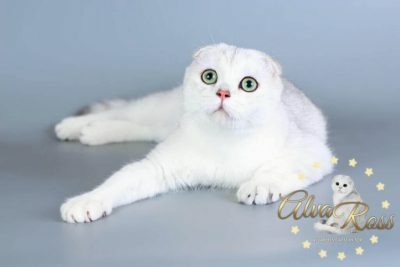 In general, catteries are engaged in the development of this color in addition to working with other color groups, and only a few of them are engaged exclusively in work on exactly quality Scottish Fold silver chinchilla cats. 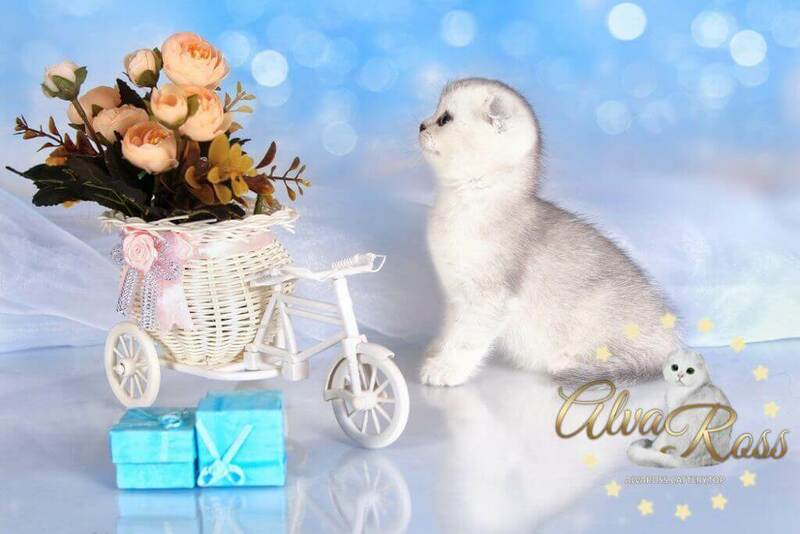 This is due to the fact that work with the coloring of a chinchilla is difficult and painstaking. After all, it is necessary not only to bring the color itself to the ideal, but also not to forget, at the same time, about the type of animal. Saying "type", I mean the standard of the breed - the norms that describe the ideal representative of the breed and its exterior qualities, ie its appearance. For example, the size of the eyes, the shape of the nose, the texture of the wool, the length of the tail, etc. - all these points were agreed by breeders and qualified experts, and, subsequently, were accepted as the "ideal" of the breed to be sought and according to which judging will be carried out at exhibitions regardless of the country of origin, country of residence, and the color of the animal. 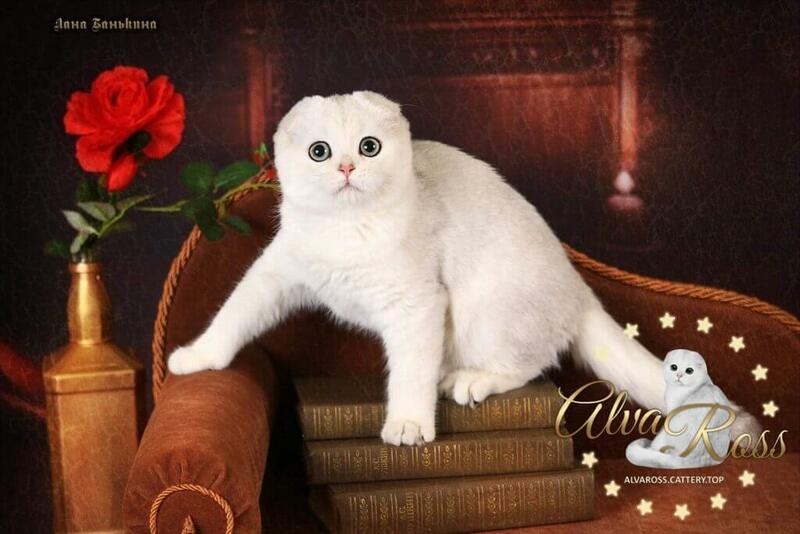 For coloring, there is a separate common standard for representatives of all breeds of cats. 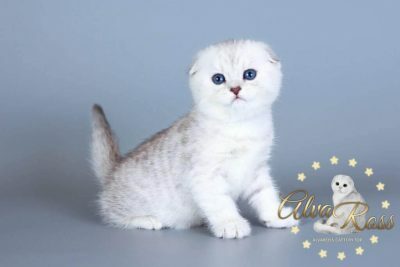 Often, the breeder faces a choice - what kind of kitten from a litter to leave for further work in the cattery: the one with the better type, or the one with a better color? Difficult choice. But we have to choose!